The Tdap Vaccine in Pregnancy-Is It Safe? You know how certain things in life just don’t pass the sniff test? My gut told me that pregnant women shouldn’t be given vaccines. I wish I had been confident enough to listen to my intuition back then, but I wasn’t. 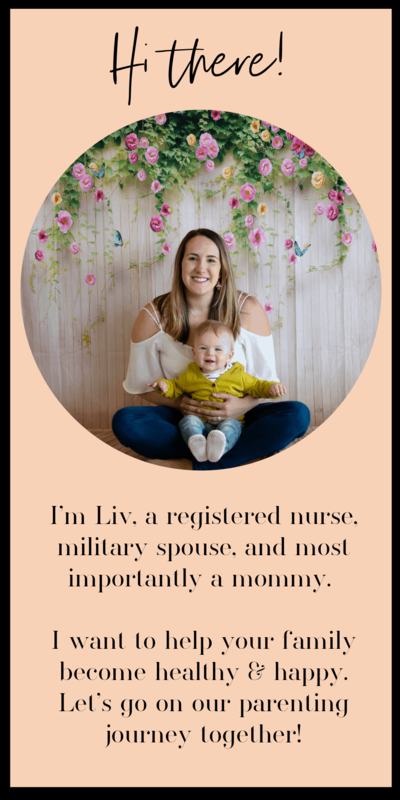 I did indeed receive the tdap vaccine when I was pregnant with my son. If you are under the care of an OBGYN, you too will likely be told to get the Tdap vaccine in your third trimester. This has become a very recent change in the standards of prenatal care in the United States and other countries such as the United Kingdom (UK), New Zealand, Belgium, Brazil, Argentina, Mexico and Israel. The CDC started recommending the Tdap vaccine in pregnancy in October of 2012 for all women. This recommendation was made based on the notion that a pregnant mother’s immune system will build antibodies to pertussis (whooping cough) which will be passed to her unborn child through the placenta. The aim is to protect infants from whooping cough during the first 3 months of life through passive immunity before they are able to get their first vaccination. In this post we will take a closer look at why this new recommendation was made, what ingredients make up the tdap vaccine, does the tdap help prevent pertussis, and is it safe for pregnant women to receive the vaccine. This post contains affiliate links. The content on this website is for informational and entertainment purposes only and has not been evaluated by the FDA and is not intended to diagnose, treat, prevent, or cure any disease. Please read our full disclosure here. Why did the CDC started recommending the Tdap vaccine in pregnancy? Since 2001 there has been an increase in the number of reported cases of pertussis: from 7,580 reported in 2001 to a high of 48,277 in 2012. Of the 20 deaths reported in 2012 from pertussis, 15 were in infants less than 3 months of age (source). It is important to understand that outbreaks of pertussis are cyclical every 3-5 years and remains unchanged even with vaccination (source). 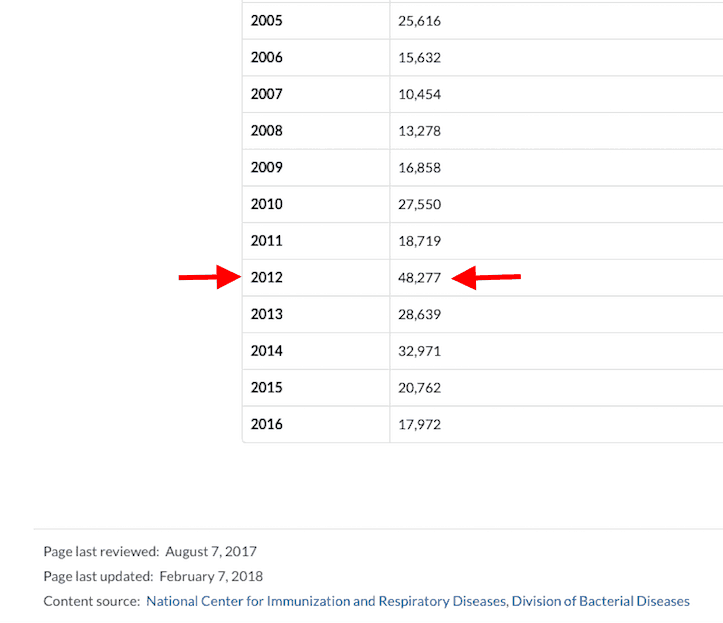 However because of the increase in reported cases in 2012, the CDC changed the vaccine schedule, adding routine dosing with the Tdap vaccine in pregnancy. This was their way of getting a handle on this outbreak due to the logistical ease of utility, since most pregnant women are seeing a physician on a regular basis for prenatal care. Here is a snippet from the CDC’s recent stats on the pertussis outbreak reports. Notice the up and down nature of reported cases. Are these ingredients dangerous for pregnant women? The first 5 ingredients on this list are modified toxins, cell surface antigens, and inactive components of Tetanus, Bordetella pertussis, and Diphtheria. These substances are how your vaccine triggers the immune system to build antibodies. The sixth ingredient on the list is salt water at the concentration of our blood. The final three ingredients are adjuvants and preservatives. They are used to “help” your vaccine work. Let’s look at the how they interact in the body individually. The FDA recommends no more than 4-5 mcg/kg/day for premature infants. (source) Most NEWBORNS (fully developed fetuses) weight 8 pounds or 3.6 kg. An infant of this weight can safely process no more than 15-18 mcg a day. The Tdap vaccine contains 0.39 mg or 390 mcg. Aluminum exposure during pregnancy has been associated with developmental delays in animals by interfering with cellular metabolism. It is NEUROTOXIC, through the oxidation of lipids, which results in damage to cell membranes. (source) No human studies have examined the long-term effects and therefore has not been proven to be safe. A substance used in building materials, household products, and to embalm dead people. Most toxic exposures comes from prolonged inhalation in the environment. Per the FDA, special consideration should be given to reduce the exposure of formaldehyde to the elderly, children, and pregnant women. a chemical used as an emulsifier in many commonly used foods and cosmetic products. Polysorbate 80 makes ice cream creamier and lotion smoother. In vaccines, it is used to keep all the ingredients that don’t play well together in a stable mixture for injection. This study shows associations between polysorbate 80 and infertility in mice. No human studies have been done to date. This study shows a link between this ingredient and going into anaphylactic shock in pregnancy. This study showed an negative impact to gut microbes and mucosa promoting colitis and metabolic syndrome. Gut microbes called “normal flora” play a large role in immunity and metabolism. A disturbance in these could lead to chronic inflammatory diseases. Polysorbate 80 can cross the blood brain barrier and is also linked to cancer. Does the Tdap protect your newborn against whooping cough? Another issue with passive immunity is that it may actually blunt the baby’s own immune system to developing lasting antibodies after future vaccination or exposure. So these maternal antibodies may protect the baby for a month, but when looking at the long run, they may actually increase the risk of the disease in the future. It just so happens that “the future” we are speaking of here is when a child would likely be more exposed to crowds, such as in daycare or school. Here is an excerpt from the CDC. Another study confirms the short-lived nature and blunting of these antibodies. Published in the Pediatric Infectious Disease Journal, it found high titers in 1-month old infants from mothers who received a maternal booster during pregnancy. However, these levels were found to rapidly decay by 2 months of age. Here is a quote from Dr. Leuirdan et al. Does vaccination with the Tdap vaccine prevent the spread of infection? The quality of immunity to a disease acquired from a vaccine is vastly different than when it is acquired from the real virus. This quality should then be considered when a pregnant woman is evaluating if the risks of getting the vaccines is worth the benefit of passing antibodies to her baby. This study took a look by testing baby baboons who were vaccinated at 2, 4, and 6 months of age. The infant baboons were subsequently infected via nasal swabs of B. pertussis at 7 months of age and immunity was compared with baboons who had been previously infected and developed natural immunity. Here is the explanation of the outcome. What this means is although these vaccinated baboons did not have the symptoms of pertussis, the immune response was not enough to prevent the colonization and further transmission of the disease to others. If you are pregnant, you will need to decide if you want to allow your provider to give you the tdap vaccine. I suggest you ask them for the package insert, and to go over the ingredients with you. It would be prudent to see what your own physician has to say specifically about each of these individual ingredients and not just take my word for it. In this post, we have evaluated that there are indeed concerning risks associated with the ingredients in the tdap vaccine. Aluminum is neurotoxic. Formaldehyde is carcinogenic. Polysorbate 80 causes major inflammation in the body. The Tdap vaccine contains all three of these toxic substances. I am boldly making the assumption that pregnant women are gambling their health and that of their unborn child for the chance of subpar immunity (36 days). It is important to understand that we are all individuals and react to environmental toxins such as the ones in vaccines differently. This is why one child can be fully vaccinated without any issues and another can have devastating adverse reactions. Any time you take on a medical procedure there are risks so you have to decide if the risk of the vaccine is worse than the risk of the disease. This is a personal decision that no one can make for you. I hope this information helps you become more informed. It may be worthwhile to consider if there are other options. One may be to get the vaccine and then aggressively detox your body. Or it may be prudent to consider other ways of protecting yourself and your newborn against Pertussis. Moms are concerned for the welfare of their babies. No mother wants her child to contract whopping cough so let’s look at some ways to decrease your risk. 1). Stay informed about outbreaks of any infectious disease in your local area. The site heartmaps.org was created by a team of researchers, epidemiologists, and software developers at Boston Children’s Hospital. They have done a wonderful job at setting up a system for tracking disease outbreaks and monitoring in real time. One of the best ways mothers can protect their infants is to protect their own body. Do this by getting adequate rest, minimizing stress, eating nutrient dense diets, and taking immune boosting supplements and foods. One of the ways a virus takes over the body is by depleting essential vitamins that immune cells use to amount proper attack. There are promising studies that show increasing Vitamin A can protect against infections (source). One of the first line of defense against the spread of infection is to wash your hands before you eat and as soon as you get home. This will wash away any pathogens so you don’t bring them into your home or get them on your food. At the end of the day, we all want what is best for our family and to have healthy bodies. Whether or not to get the tdap vaccine in pregnancy is one of many tough decisions you will make as a parent. I would love to hear your concerns about this important topic. What did you decide to do?